The service is reduced between October and May, it runs from 9am to 6pm and an hourly service between November and April 10am to 4pm. The bus line 400 runs to the key sites of Athens and can be used as a sightseeing tour bus for a very reasonable cost. 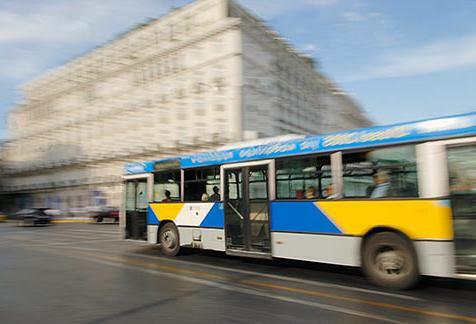 This bus goes from the Archaeological Museum to Omonoia, passing these places of interest: Psyrri, Kerameikos, Thiseion, Monatiraki, Athens market, Kluffhmonos Square, Syntagma Square, Benaki Museum, National Gallery, Ampelokipoi, the Stadium, Plaki, Acropolis, Olympian Zeus temple, Greek parliament, University and Omonoia. These buses generally run every 30 minutes.You can buy a one journey ticket, Daily tickets or a 90 minutes ticket these include the use of all public transport, buses, trams, and electric rails.